Opting for precision, less pain and faster recovery, the doctors at leading hospital in India turned to robotic surgery to help 10-year-old boy, who was diagnosed with tuberculosis of the spine and brought to Delhi in a serious condition. The child successfully underwent a two-hour surgery at the hospital. He is comfortable, walking and will return to school in two weeks. Talking about his young patient, the Doctor said that the patient was from eastern India. He got fever about five months ago, after which he developed back pain and bending of the spine. This made it difficult for him to walk. He developed weakness in the legs and was unable to go to school or play with friends. After initial treatment back home, which did not provide much relief to the boy, the family decided to come to Delhi. An MRI revealed the collapse of the thoracic ninth and tenth vertebrae, leading to compression of the spinal cord along with a large collection of pus in and around the spine in that area and the chest cavity. 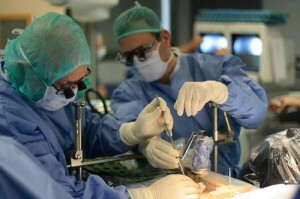 Standard surgery in such cases involves a large cut in the chest with prolonged hospital stay. Pain after the procedure can make recovery and return to normal activities slow. 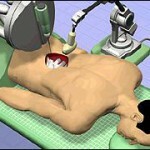 Thus, the doctors then looked at the possibility of conducting a robotic surgery. Stating that robotic surgery has been attempted for the chest cavity but not in a case like this young patient. 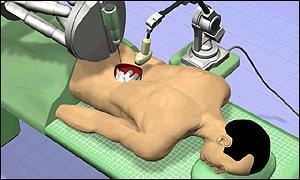 After reviewing the scans, robotic instrumentation and discussion it was felt that the procedure could be attempted. And if successful, it would give the child the benefit of this latest technology. Robotic surgery has been conducted in the case of lumbar spine disc disease in the United States. This is the first case outside of the United States where pus and infected tissue was removed from the thoracic spine, allowing relief of pressure from the spinal cord, thereby relieving pain and improving power in the legs so that the young patient can walk freely. This technique allows a special advantage of rotating 360 degrees. This means stitching, cutting and handling of tissues can be done with greater precision and accuracy. All this leads to less bleeding, less injury to tissues, and therefore less pain and faster recovery for the patient. The robotic arms are very strong and steady. They do not show tremor or do not get exhausted during difficult and long surgeries. Three-dimensional vision with 20 times magnification leads to much better visualization of the operation area for the surgeon. 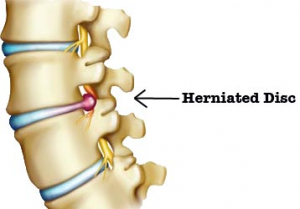 In the spine, it allows access through minima l invasive means. Overall, all this means a much better and effective treatment for the patient, especially when dealing with advanced surgeries and complex diseases. Once the young patient recovered from the procedure, the vertebras were fixed from behind a week later so as to enable early mobilization.